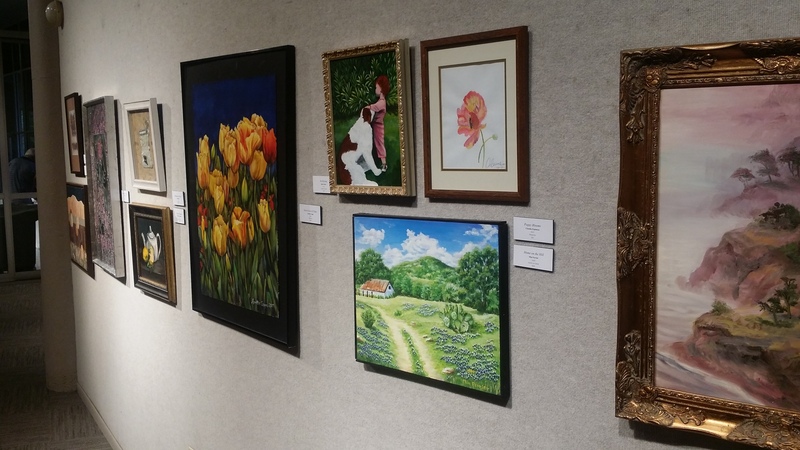 The exhibit will run from June 7th through June 30th, 2016 so if you are in the area, please stop by and check it out! 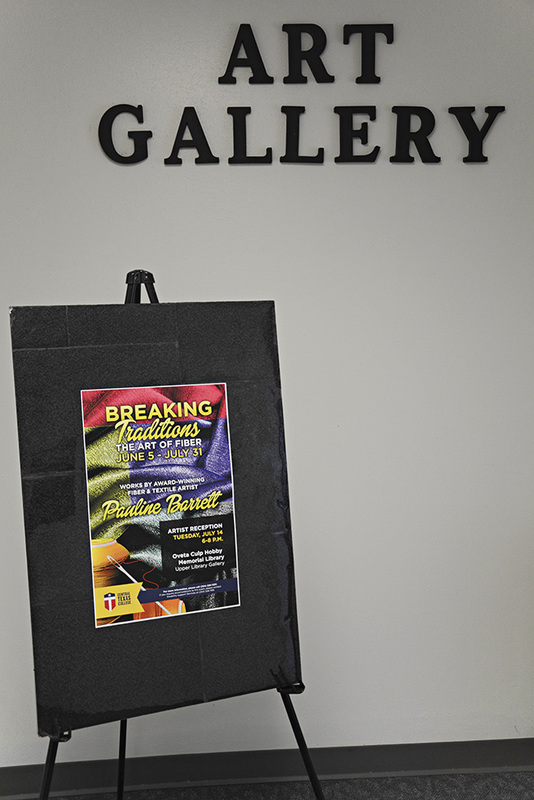 I just received my copy of “Patchwork Professional,” a European magazine that focuses on quilting and fiber art. 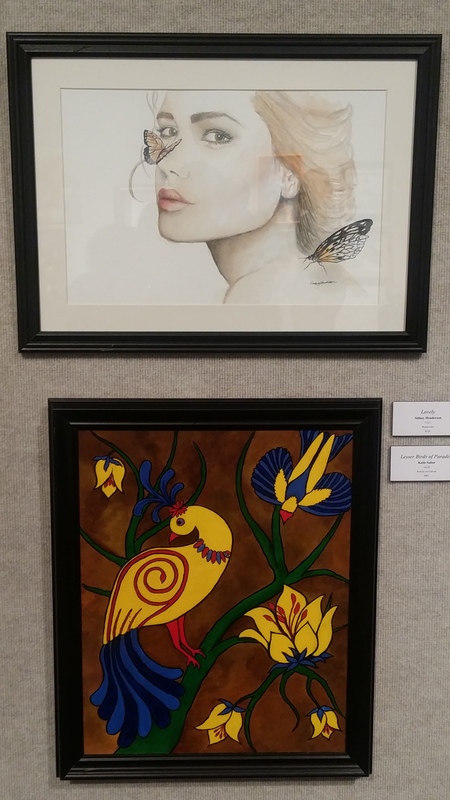 I was one of the featured artists for the second edition of their 2016 magazine. 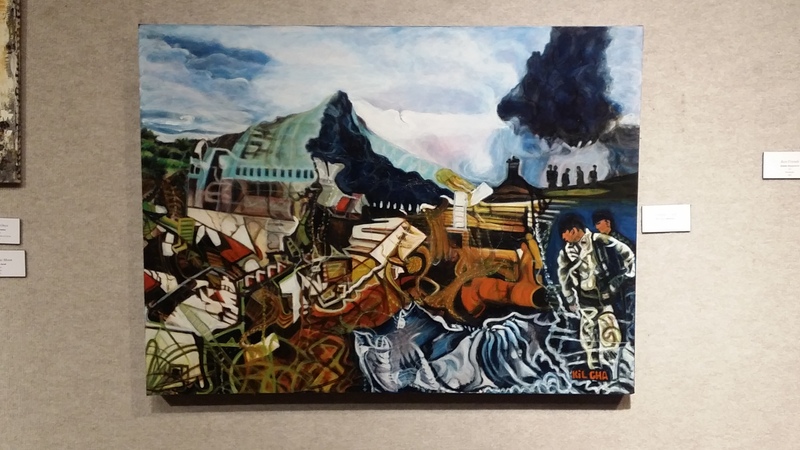 My piece “Our Journey” made it’s debut at the U.N. Headquarters in Geneva, Switzerland on March 22, 2016. 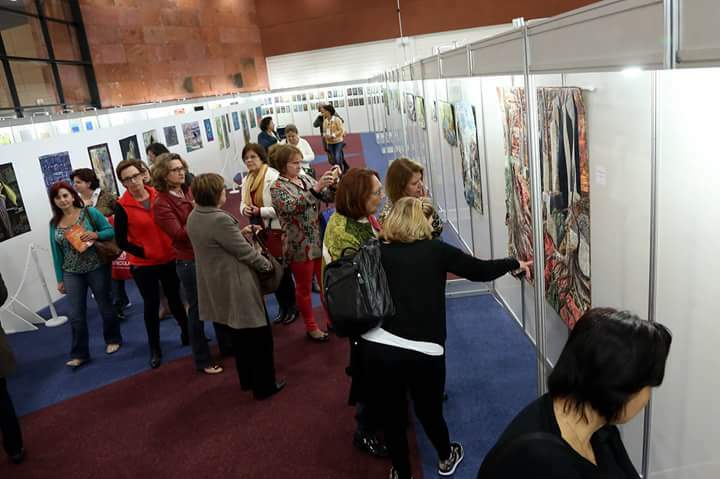 This exhibit highlights the importance of water as a precious source of life and its impact on the lives of women and girls around the world. 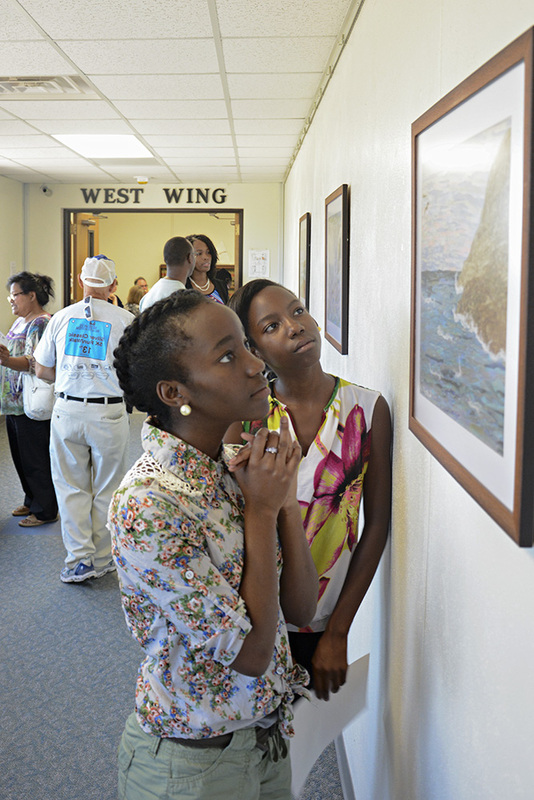 In Africa and Asia, women and children walk an average of 3.7 miles a day just to collect water. 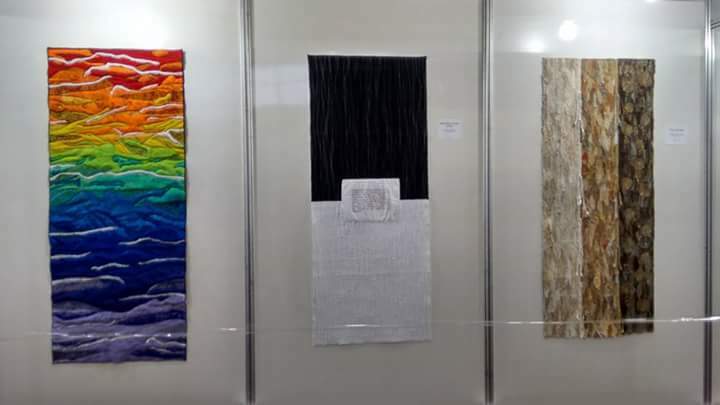 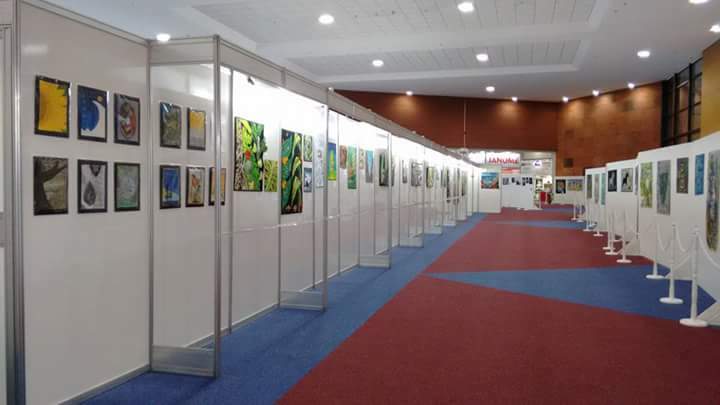 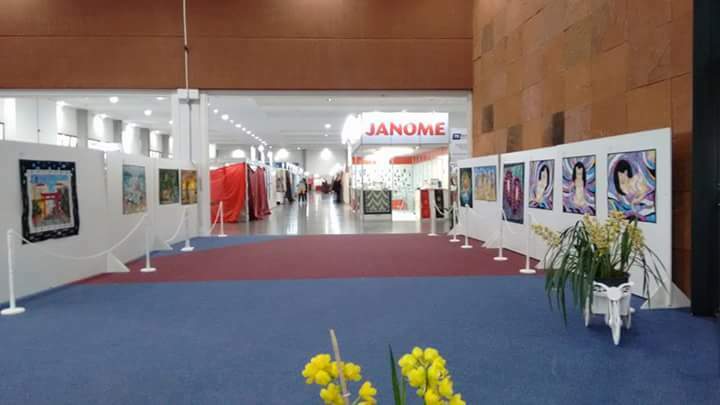 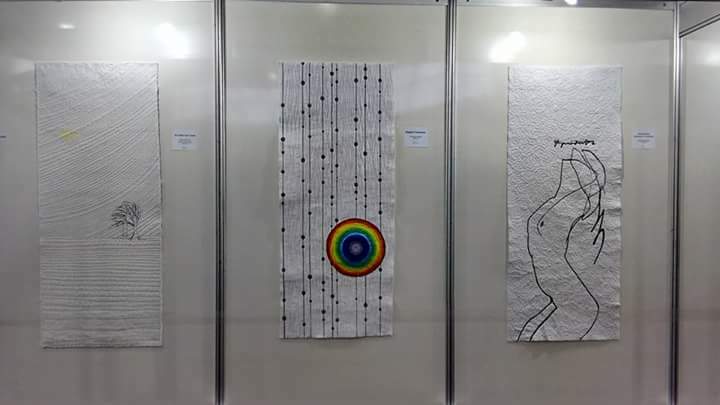 Taiwan International Quilt Exhibition 2016! 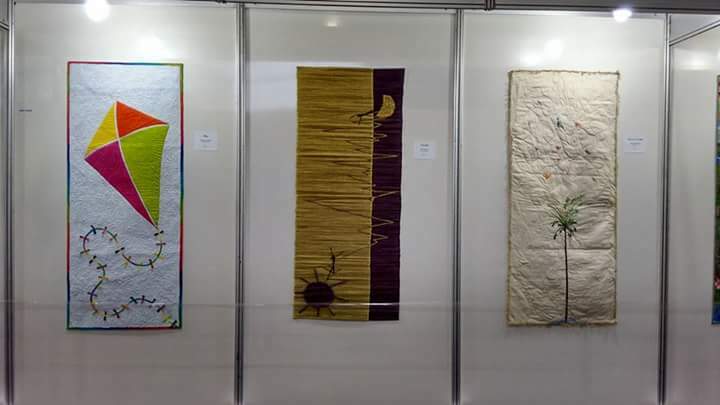 My piece “Mommy and Me” arrived safely in Taiwan. 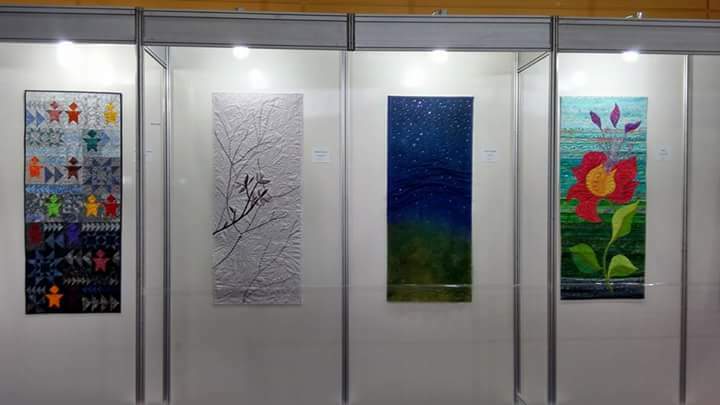 It will be a part of the exhibit “Protect the Earth’s Environment” held at the National Tainan Living Art Center, Tainan City, Taiwan, from April 30 – May 29, 2016. 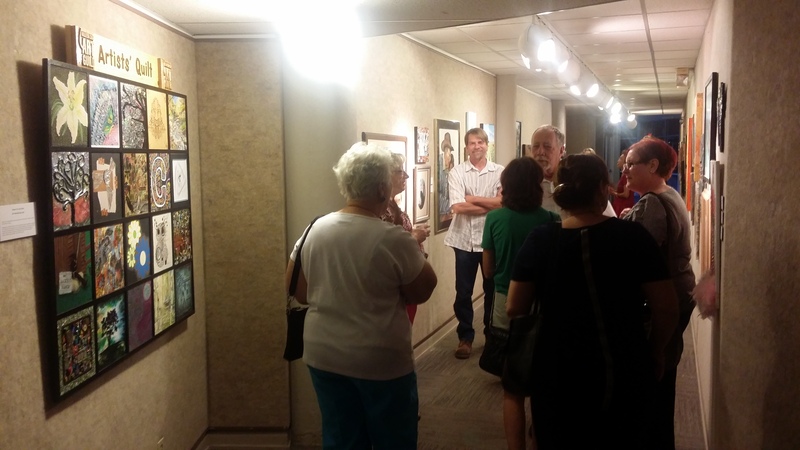 I will post photos from the exhibit after the opening. 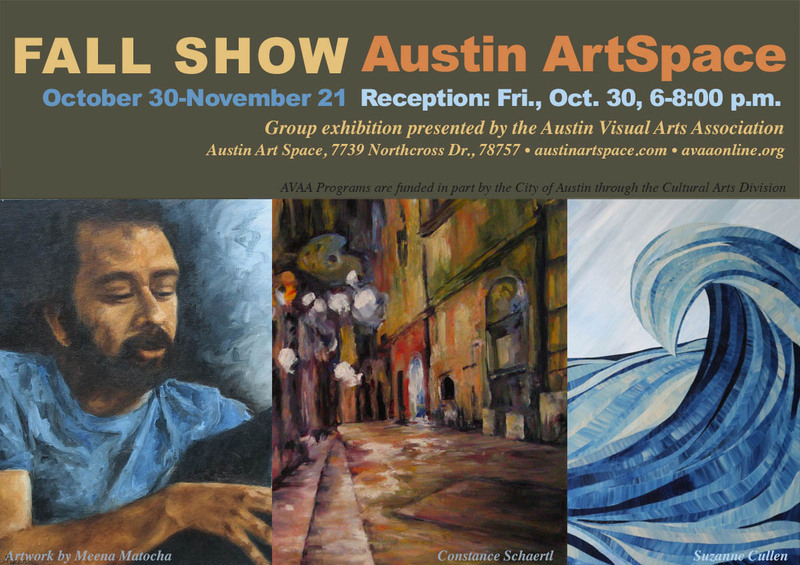 My piece “Sunset I” will be on exhibit at Austin ArtSpace, 7739 Northcross Dr., 78757 as part of the Austin Visual Arts Association’s Fall Art Show, October 30 – November 21, 2015. 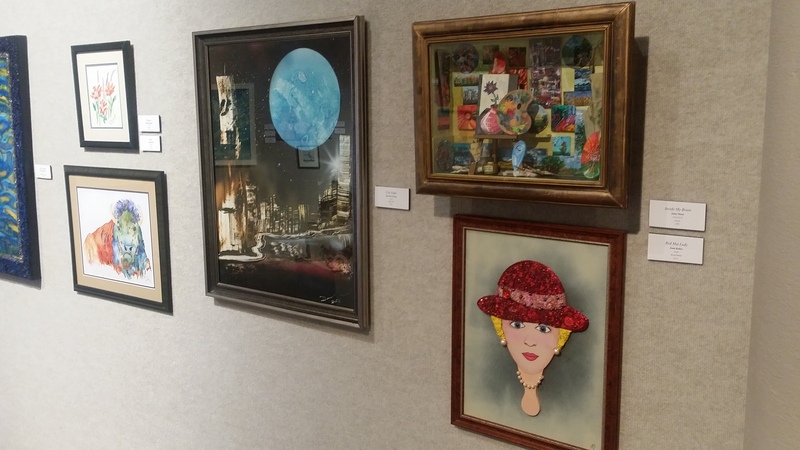 Artist Reception will be Friday, October 30, 6 – 8 p.m. 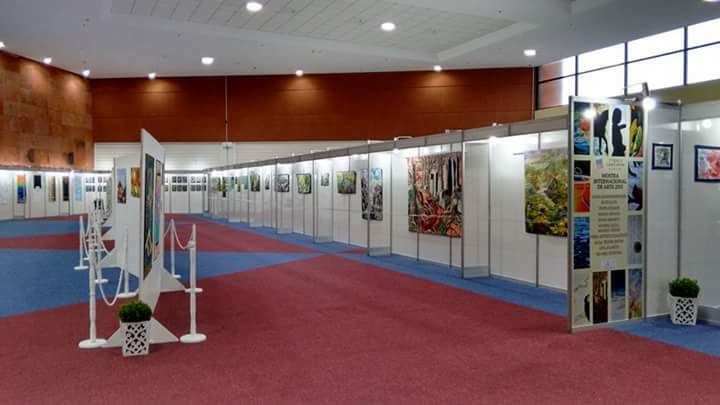 If you’re in the area please drop by and see the exhibit. 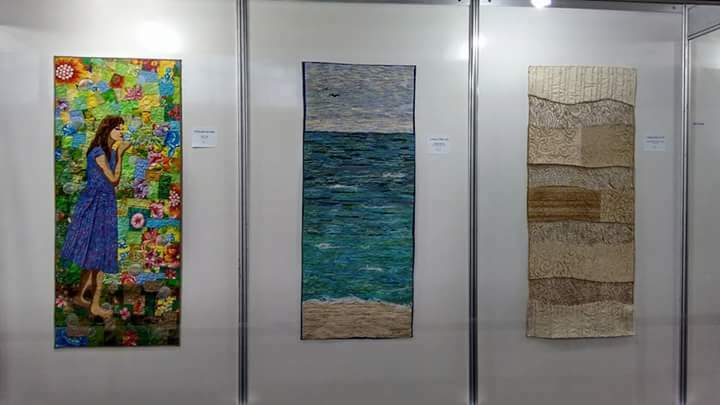 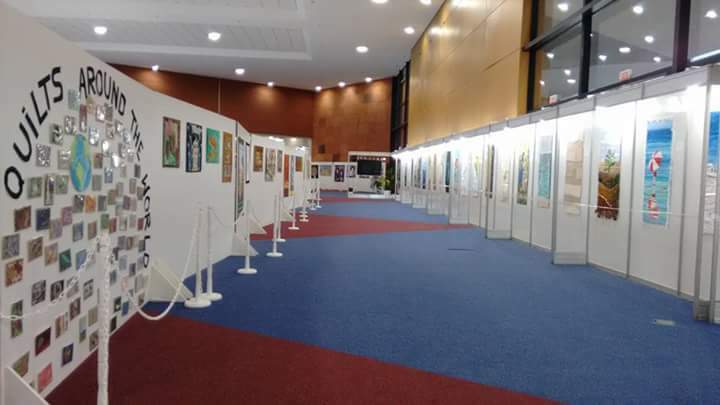 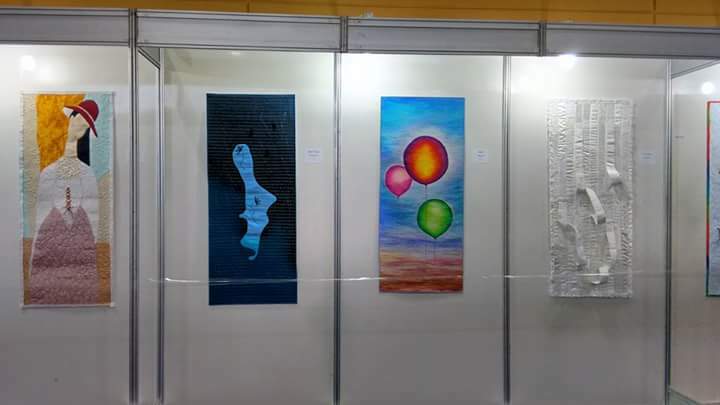 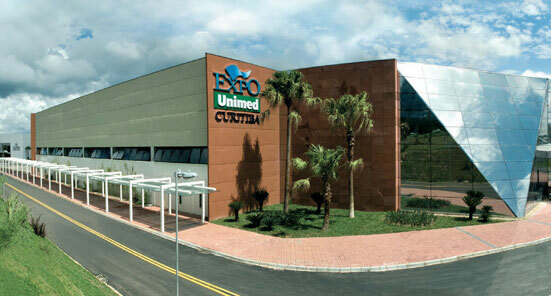 My piece, “The sand, the sea and me,” was displayed as part of the SAQA exhibit entitled “Simplicity” this past week at the Expo Unimed Curitiba in Curitiba, Brazil. 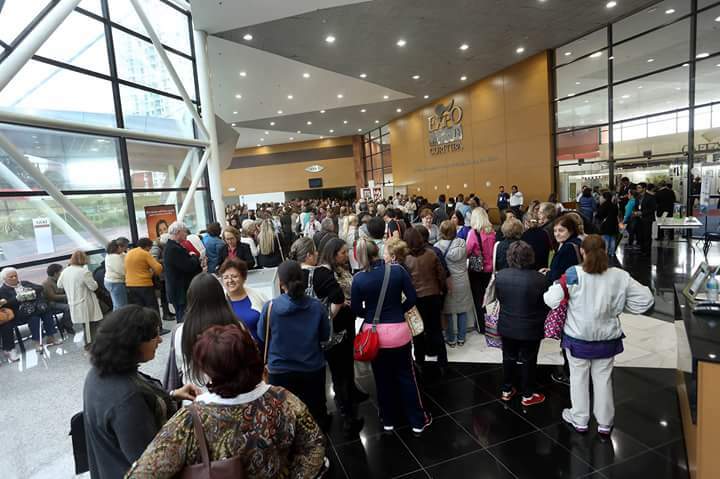 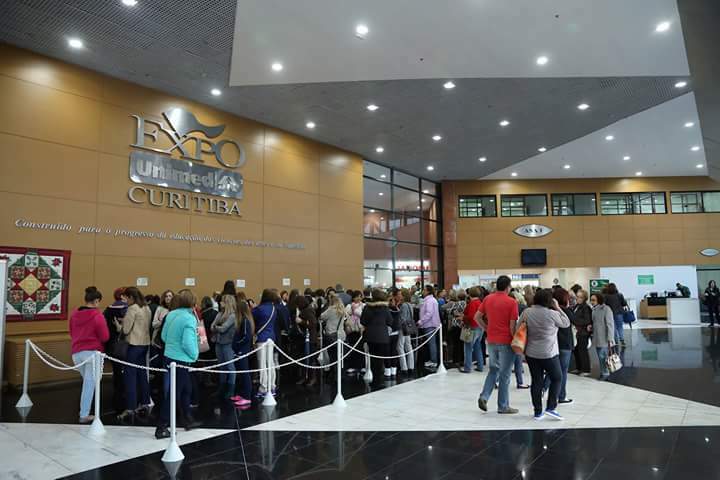 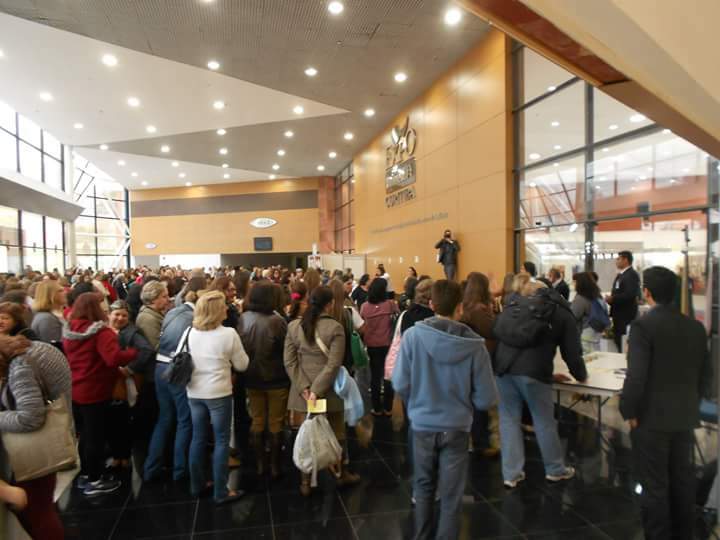 The exhibit drew huge crowds topping over 3,500 daily. 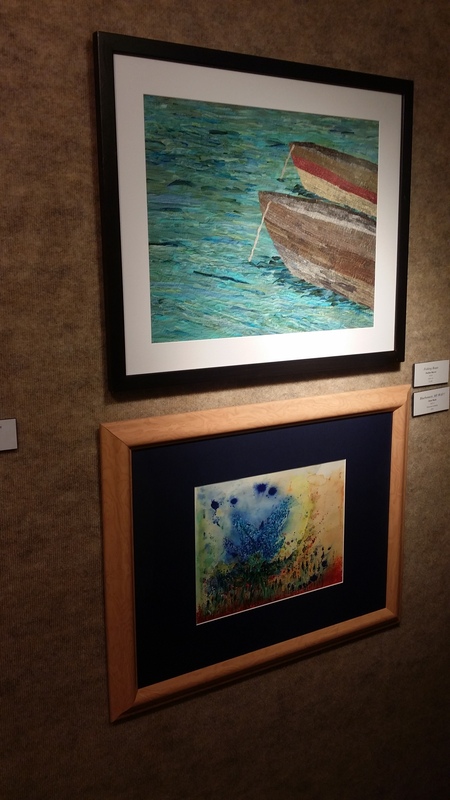 Below are some pics (courtesy of Deda Maldonado) of the exhibit. 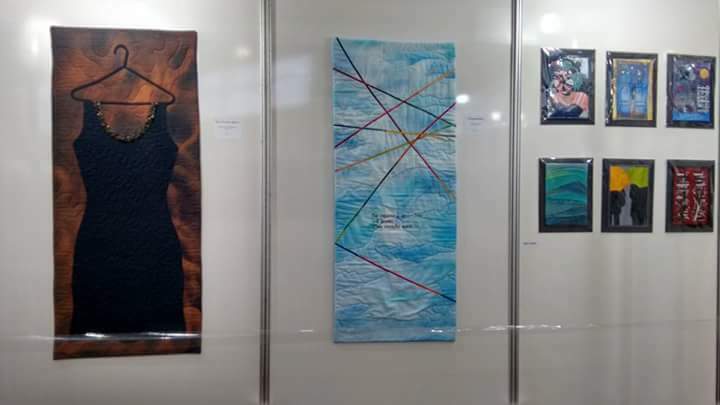 My piece “The sand, the sea and me” is in the center of the photo above. 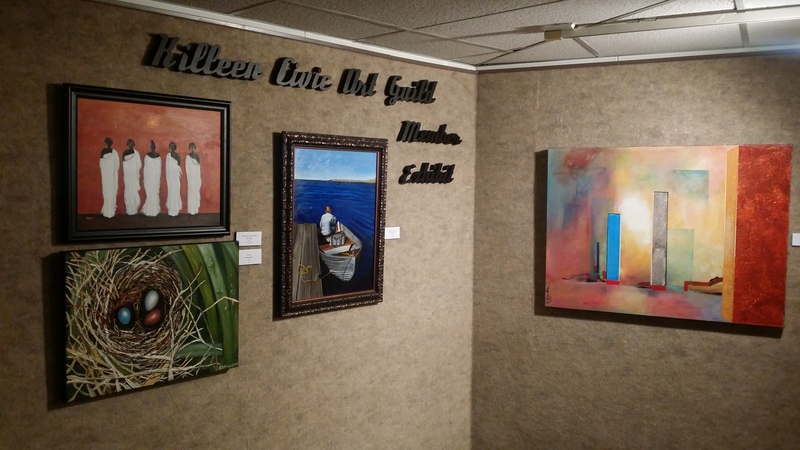 The Killeen Civic Art Guild will be having a Member Exhibit in the Saulsbury & McCreary Galleries at the Temple Cultural and Activities Center in Temple, Texas. 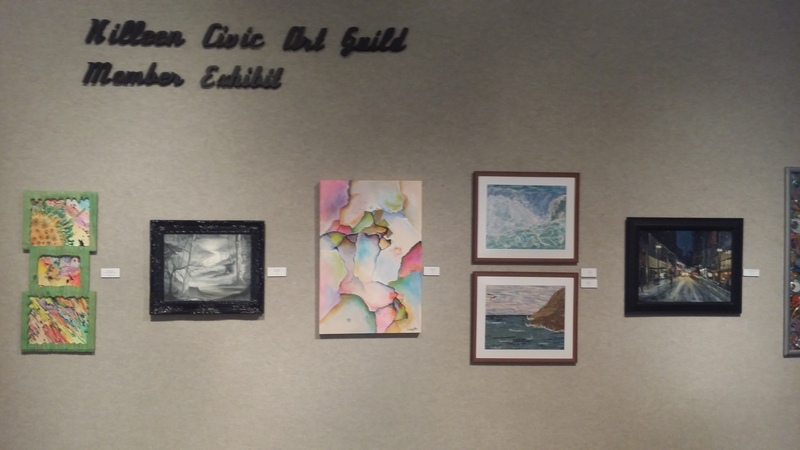 This is a huge honor for the Art Guild. 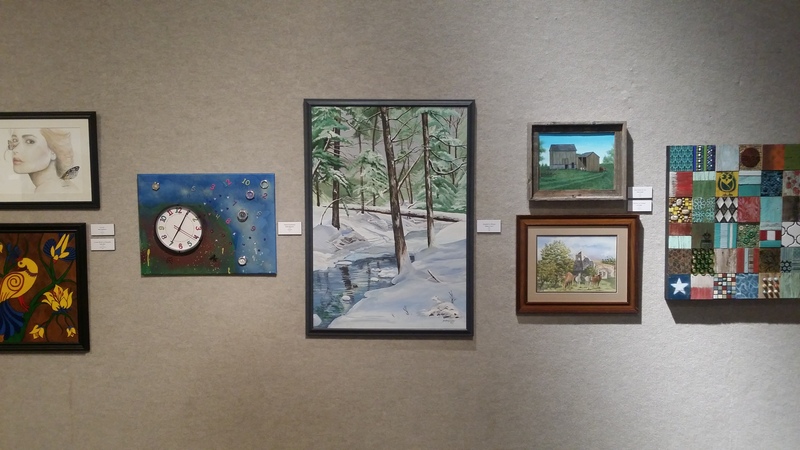 Three of my pieces will be on exhibit along with pieces from other members of the Art Guild. 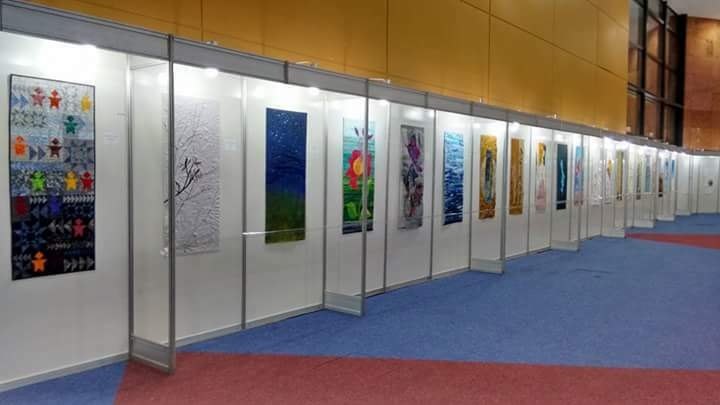 The exhibit will be on display from August 29th to October 23rd, 2015. 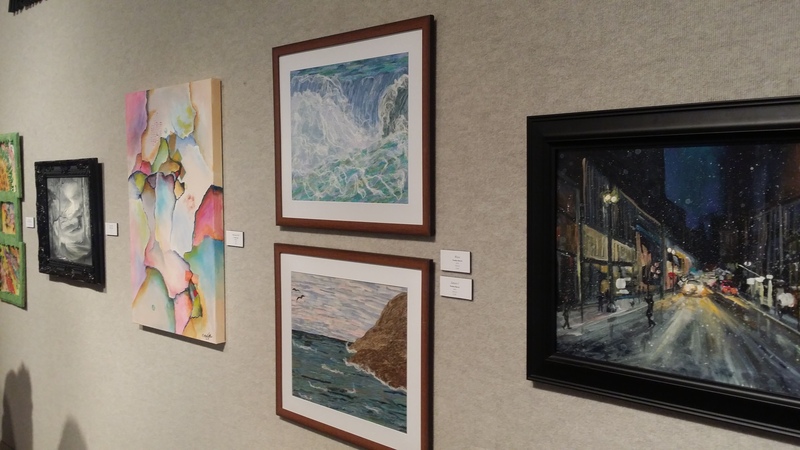 My piece “Fishing Boats” is pictured in the black frame above. 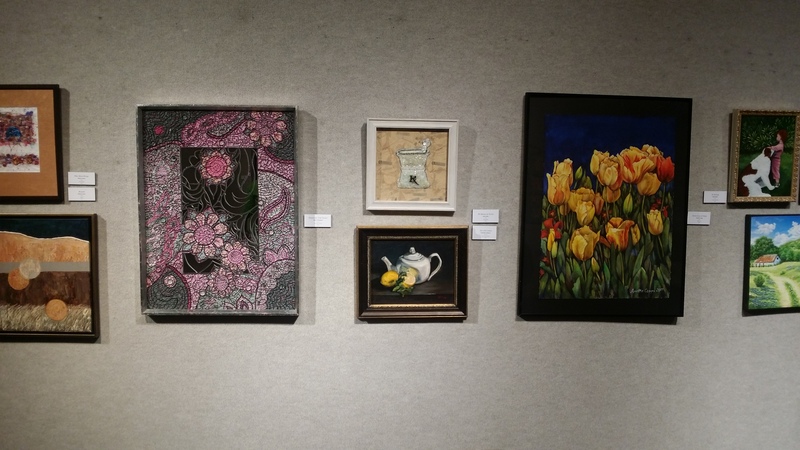 Two of my pieces are pictured in the brown frames above. 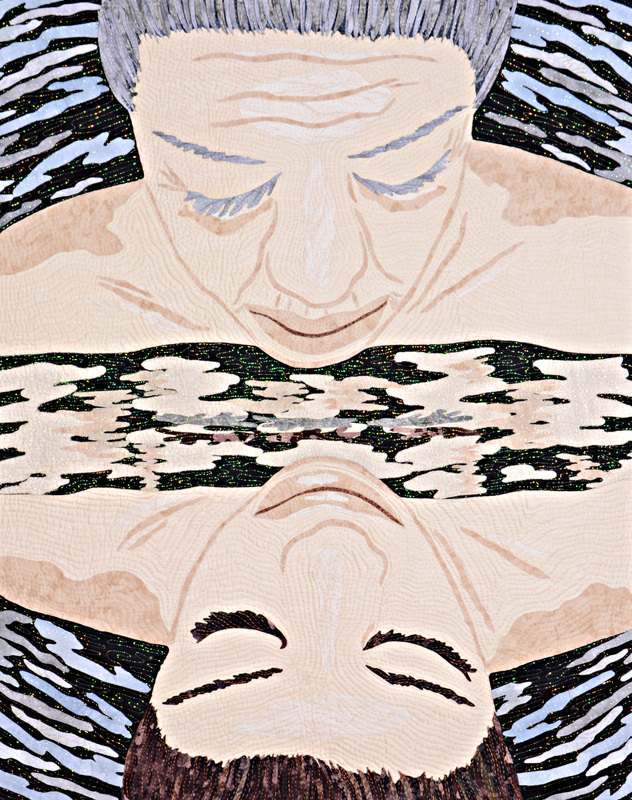 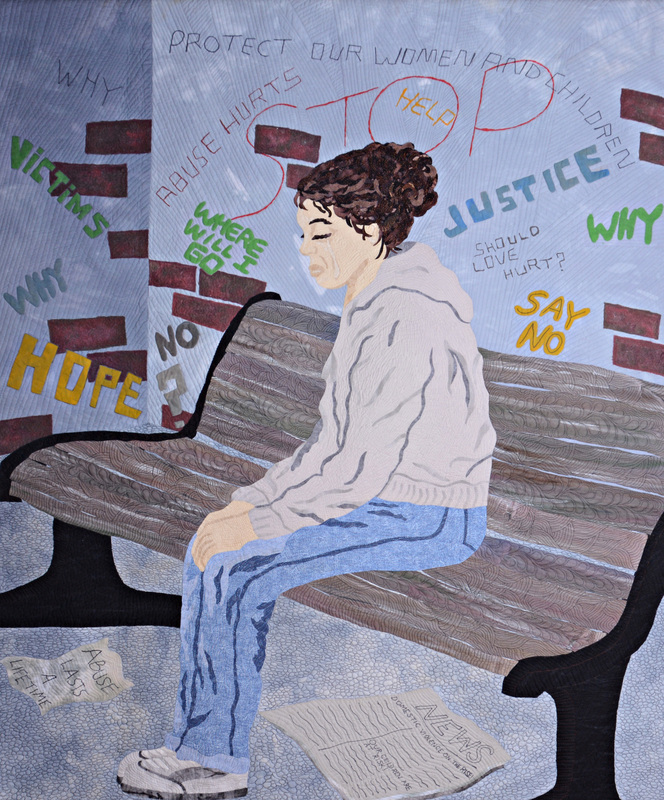 Two of my pieces, “Her Story” and “Reflecting on the Past,” are being exhibited in Herndon, Virginia with the 2015 Sacred Threads exhibit. 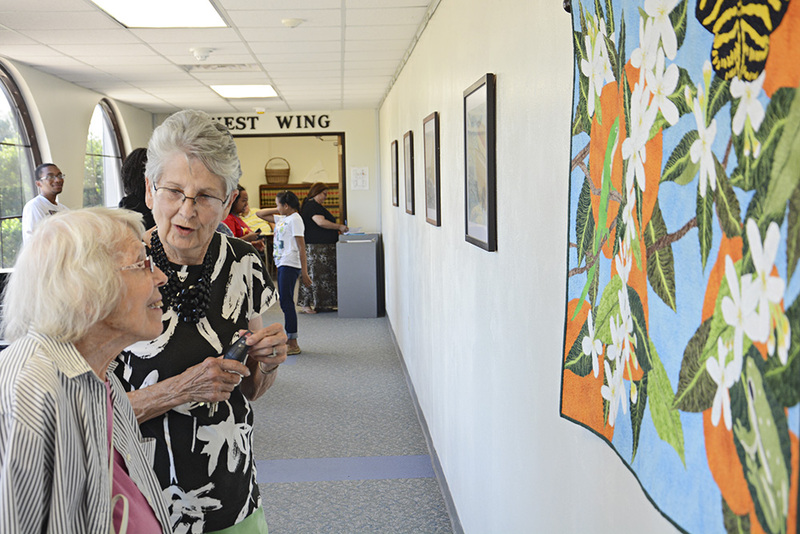 This exhibit focuses on the connection between quilts and their makers and the emotional experiences that may be a source of inspiration to others. 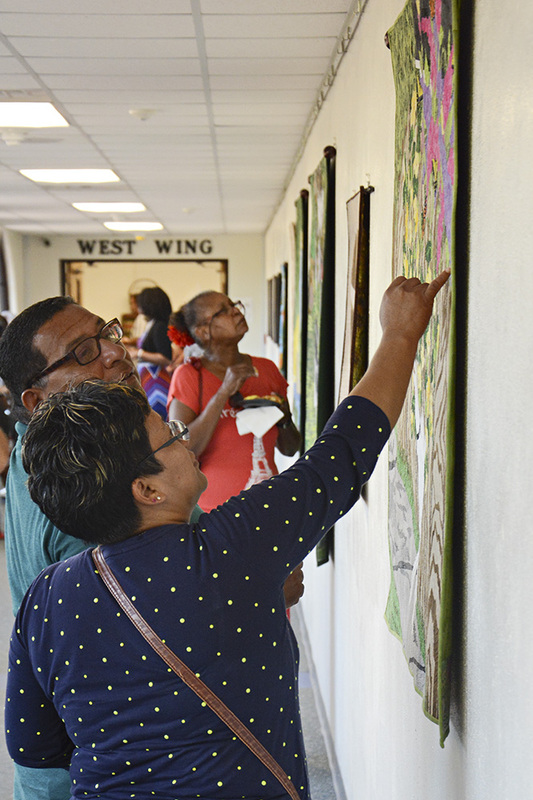 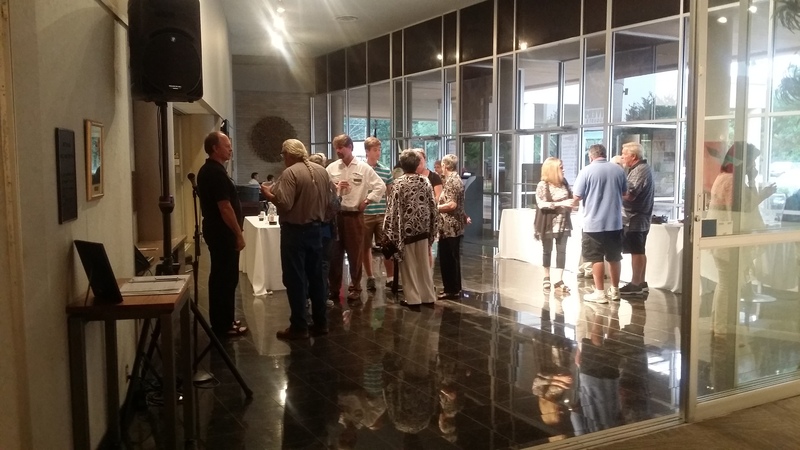 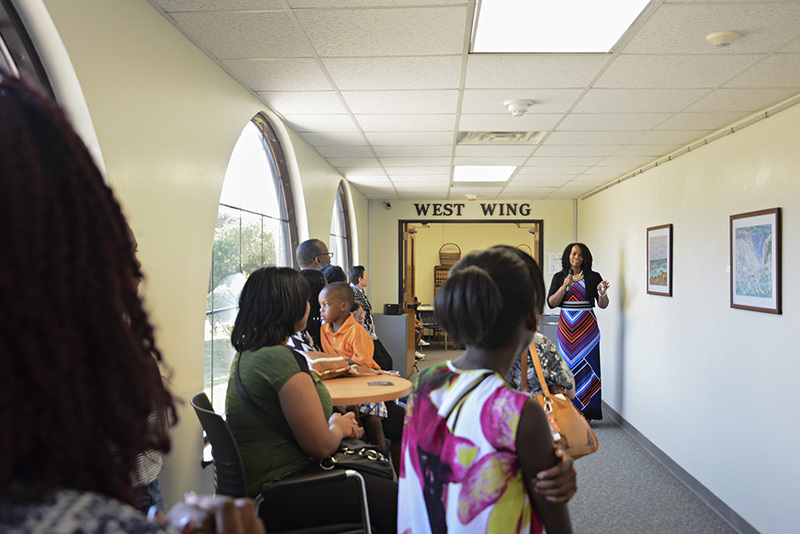 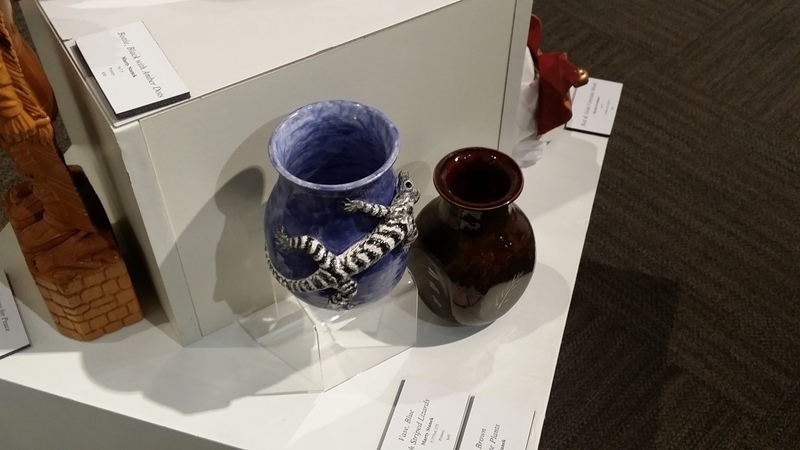 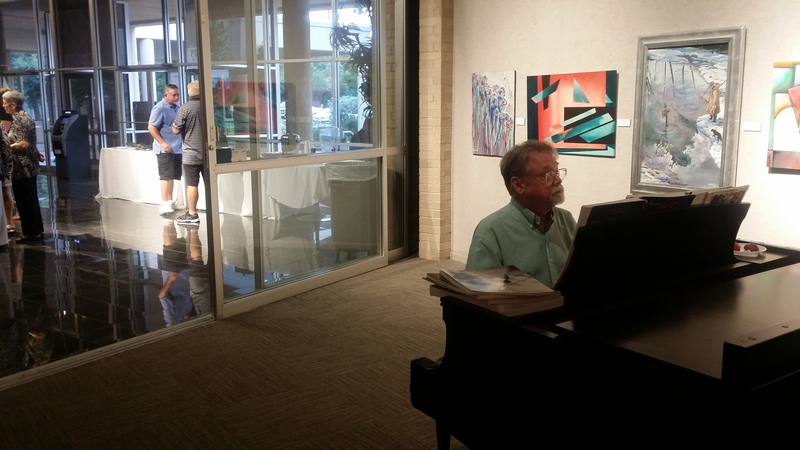 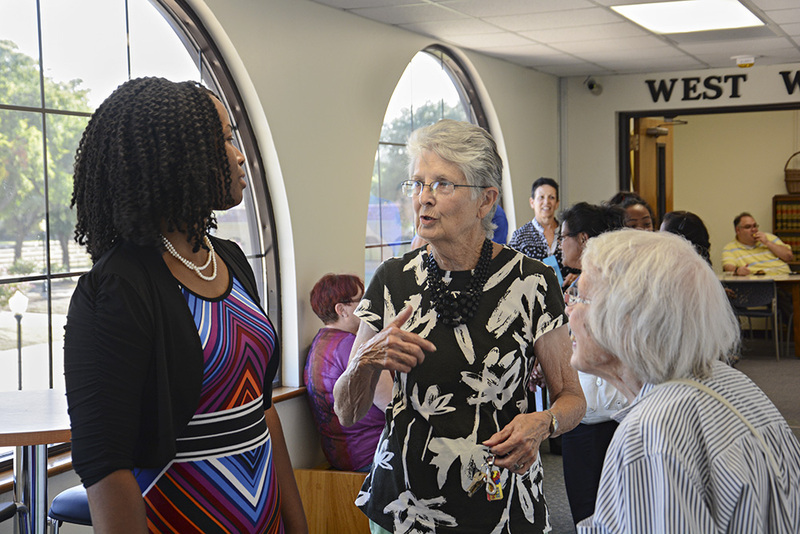 Central Texas College hosted an artist reception in my behalf on July 14th, 2015 in the Fine Arts Gallery of the Oveta Culp Hobby Memorial Library. 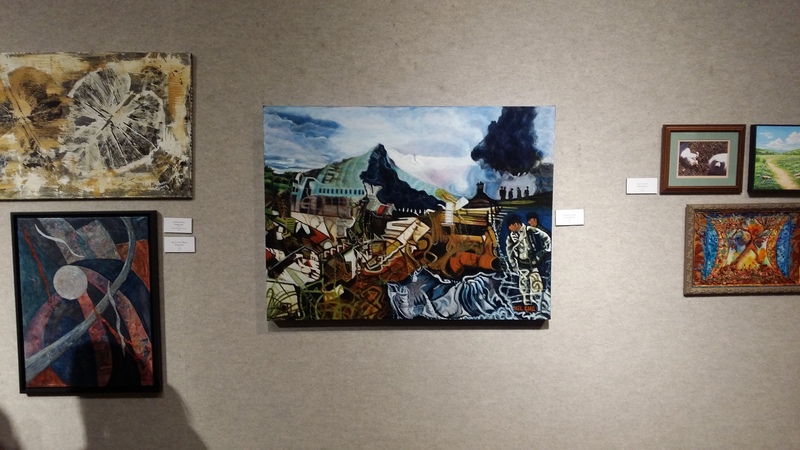 The exhibit will be on display until July 31st, 2015.